You can enter your score and statistics during play in a very smooth user interface. The application supports saving of rounds and you can get a full statistic overview over played rounds. GolfCompanion has access to a course database where you can download courses to your application. 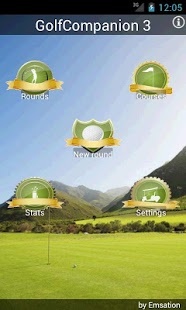 The application also supports creation of golfcourses in the phone with the easy to use course editor. You can keep score and statistics of 4 players at a time. GolfCompanion supports both swedish and english in its user interface. 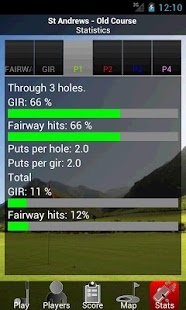 Free Android application to your golf club! Emsation offers to create and publish a free Android application to your golf club. The application will have the name of the club and have your course pre-installed with scorecard and GPS positioning values for all greens. We will do all the work and administration. 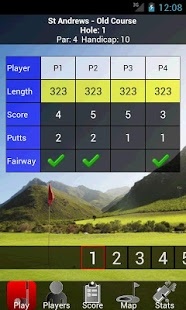 The application will be built as a version of our GolfCompanion application. To support the marketing of the application we would like you to add a link/banner on the site of the club. Inside the application, there will be a link to our full version GolfCompanion Pro which has support for over 20000 courses and costs 5.99 EUR. Please send us a mail on info@golfcompanion.se for more information.